As the Medical Affairs’ function continues to evolve, leaders must constantly reevaluate how they structure and staff this critical function. In order to truly enhance organizational effectiveness, leading healthcare companies must find the ideal staffing levels to run sleek and efficient Medical Affairs departments. Reasons for Aligning MSL Teams: “Number of Thought Leaders” needed and “Frequency of Interaction with Thought Leaders” are the most common internal stakeholder needs that drive MSL alignment. 76% of the Mature Markets segment companies & 70% of the Emerging Markets segment companies align their MSL numbers according to these needs. Ratio of Managers to MSLs: Nearly ½ of the Mature Markets segment companies use “1 manager to ≤ 6 MSLs ratio compared to 43% of the Emerging Markets segment companies. Factors By Which Leaders Determine How Many MSLs to Put Into the Field: Nearly ½ of the Mature Markets segment uses “Corporate Commitment to an Over-Arching Franchise” and “Product Life Cycle Plan” to determine the appropriate number of MSLs. On the other hand, more than ½ of the Emerging Markets segment use “Target Ratio of Specialists To Number of Thought Leaders” to make such a determination. 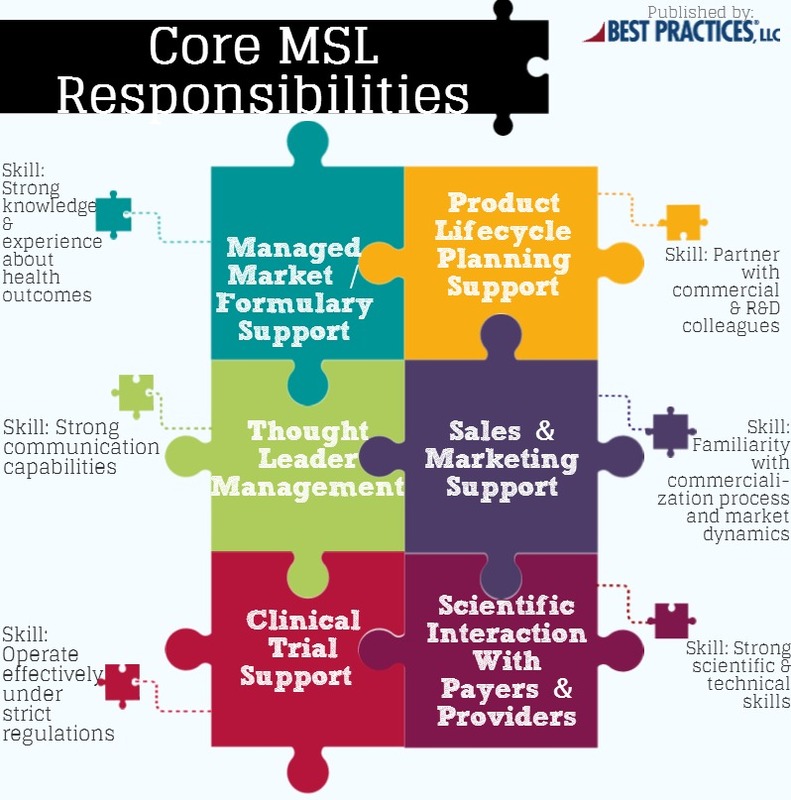 Featured below are the key responsibilities & skills required for a strong MSL team. Choosing capable talent and building the right field-based medical team competencies are critical to create a successful Medical Affairs function.